February 20 marked the opening of Hangar6, a unique prototyping and design space open to technology-based companies in North Carolina. 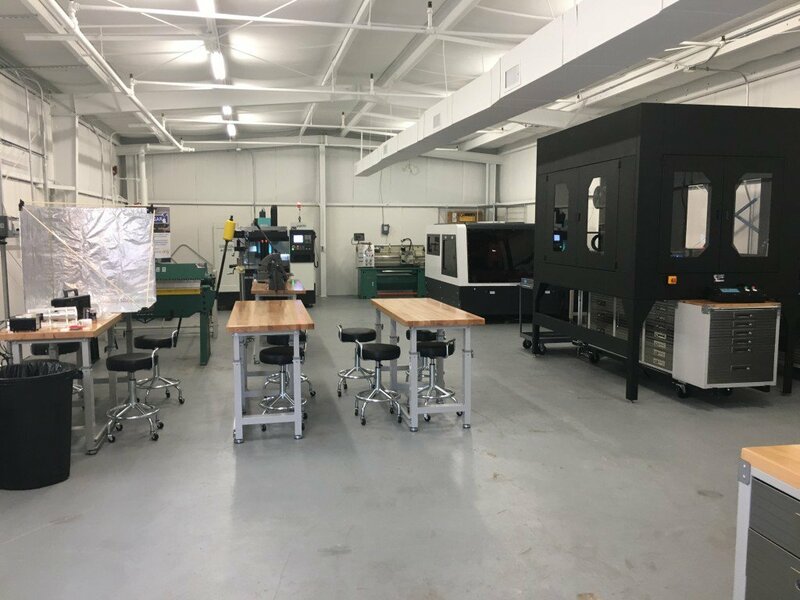 Conveniently located in Research Triangle Park, Hangar6 enables companies of all sizes to design, build, and model product prototypes using tools such as 3D scanners, CO2 lasers, metal fiber lasers, 3D printers, a CNC mill, and more. When TechShop closed in 2013, a void was left in the community. “There’s been a serious need for a prototyping space in this area for a long time—some people were traveling as far as Maryland every time they needed to make a prototype,” Andrew says. 150W CO2 Laser Cutter: 60in x 36in bed size. Able to cut a variety of material including acrylic, rubber, silicon, wood and other composites up to 1/2in thick. 500W Fiber Laser Cutter: 48in x 48in bed size. Capable of cutting up to 3mm carbon steel, 2mm stainless steel, and 1mm aluminum and other soft alloys. CNC Mill: 4 Axis CNC mill with 10 tool auto-changer, 12in x 8in build volume. EinScan Pro+ 3D Scanner: File output: ASC, OBJ, PLY, STL. Max resolution 0.24mm between points. Scanning area 300mm x 170mm. Form2 SLA Resin: Build Volume 145mm X 145mm X 175mm. Resolution 25-100 micron. 3DP Large Format FLA Printer: 50um resolution, 1.05 cubic meter. Fusion 400 FLA 3D Printer: 20um Resolution, 1.43 cubic ft build volume. “The one thing I make sure people know is we are here to help,” says shop manager Sam Dirani. “We are a resource, not just in terms of equipment but in terms of expertise.” In addition to managing Hangar6 and its equipment, Sam provides design consulting to subscribers, and often makes case-by-case recommendations on materials and equipment to use for each item created in the shop. He sees Hangar6 as equal parts innovation and education. “Being able to help someone learn a new skill or educate them on the equipment to make their own products and see their dream come true has been my favorite thing about this place,” Sam says. As for what’s next, Sam is always on the lookout for new machines to add to the facility, with the ability to build larger prototypes more quickly in mind. “Every machine has its limitations as far as build volume, but we did try to acquire equipment with the largest build volumes possible to make it most useful for companies,” he says. To learn more or become a subscriber, visit HangarSix.org. 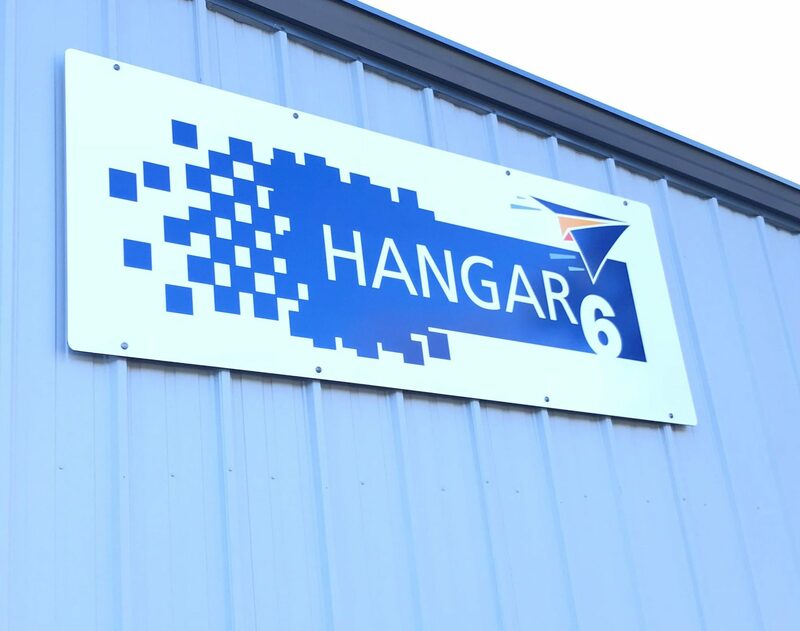 Hangar6 is located at 6 Davis Dr, Research Triangle Park, NC 27709. If you’re a small R&D company seeking funding, don’t miss the SBIR Road Tour at FFVC June 8, 2018.